A net loss occurs when total expenses exceed total revenues for a predetermined period. Revenues and expenses can be classified as operating, nonoperating or extraordinary in nature. At the end of the accounting period, net loss decreases retained earnings and the value of the business's equity. 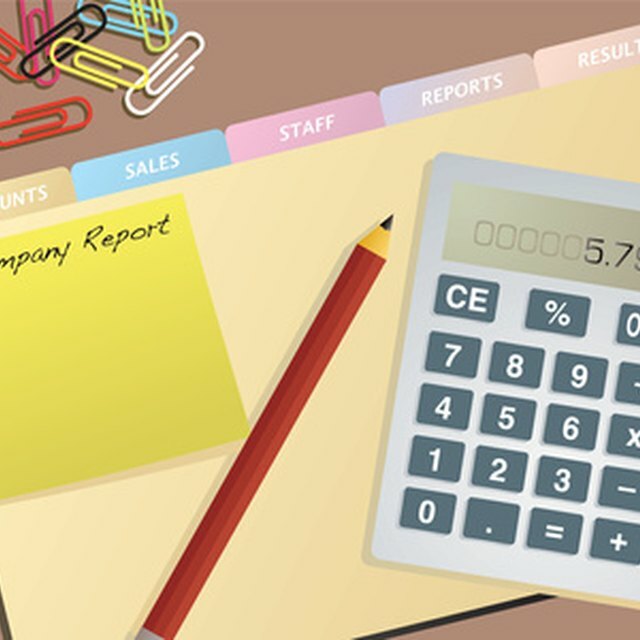 Identify and sum all operating revenues for the accounting period. Include all revenues from sales of any services and products. After calculating total operating revenue, subtract the cost of goods sold. Cost of goods sold includes the direct labor, materials and overhead that comprise the cost of the products and services you sell. The resulting figure is gross profit for the period. Identify and total all operating expenses for the period. Most businesses have operating expenses attributed to selling and administration. Selling expenses include advertising, marketing, sales representative salaries and sales commissions. Administrative expenses are other salaries, professional fees, office supplies and office equipment. Subtract total operating expenses from gross profit to calculate net operating income or loss. Identify nonoperating revenues and expenses for the period. Nonoperating revenues are amounts received for transactions other than your primary business activities. Interest income from loans you've extended is one source of non operating revenue, and gain on the sale of investments is another. Subtract any nonoperating expenses, such as interest expenses and losses on investment sales, to arrive at net nonoperating income or loss. Add or subtract any other unusual or extraordinary revenues or expenses that don't fall into the other categories to determine net income or loss from extraordinary items. Add the net operating income or loss to the net nonoperating income or loss and net income or loss from extraordinary items to calculate your net for the period: If the resulting figure is negative, you have a net loss. At the end of the accounting period, subtract the net loss from retained earnings to decrease the company equity account. Accounting Tools: What Is Net Income?